Check our Minutes and Agendas page for the minutes of the April meeting for your review and the agenda for our May meeting. See you Wednesday, June 8th at ESD 101! Check our Minutes and Agendas page for the minutes of the April meeting for your review and the agenda for our May meeting. See you tonight at ESD 101! At the beginning of the May 11th Southgate Neighborhood Council meeting, the Southgate Neighborhood Council officers will convene a special meeting for the purpose of voting to adopt amendments to the Southgate Neighborhood Council articles of incorporation. * Expand the statements of the purposes of the organization to provisions restricting activities to charitable purposes in conformance with Section 501(c)(3) of the Internal Revenue Service Code. * Update all provisions required by Washington law at Chapter 24.03 RCW, Washington Nonprofit Corporation Act. The proposed amendments will serve to qualify the Southgate Neighborhood Council for recognition by the IRS as a 501(c)(3) nonprofit organization so contributions to Southgate are federal income tax deductible. The proposed amendments amount to a complete substitution for the original Southgate articles of incorporation from 2008. 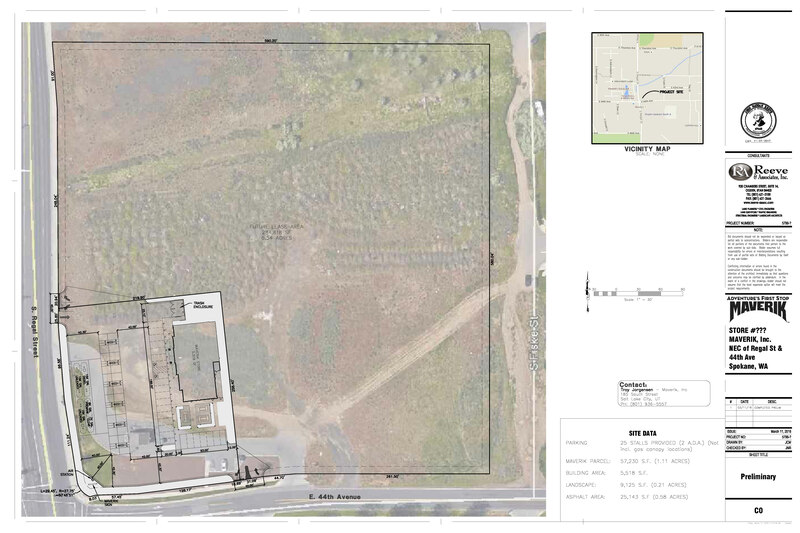 Last week a Notice of Community Meeting was posted on the property of the formerly proposed Extendicare Assisted Living property on the east side of Freya at 44th Avenue. The meeting will be held at 6:00 PM on Tuesday, May 3rd at the Southside Senior Center (3151 E. 27th Avenue). 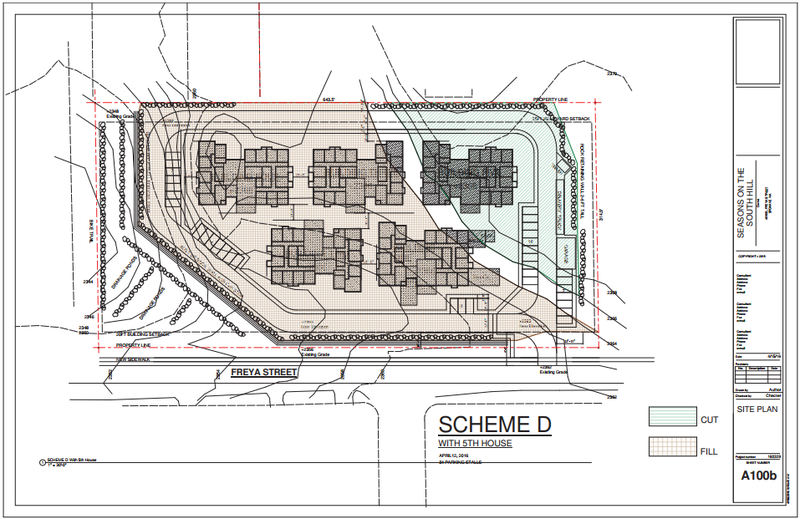 The developers are applying for a Conditional Use Permit to build a complex of 5 assisted living residential homes called Seasons on the South Hill. 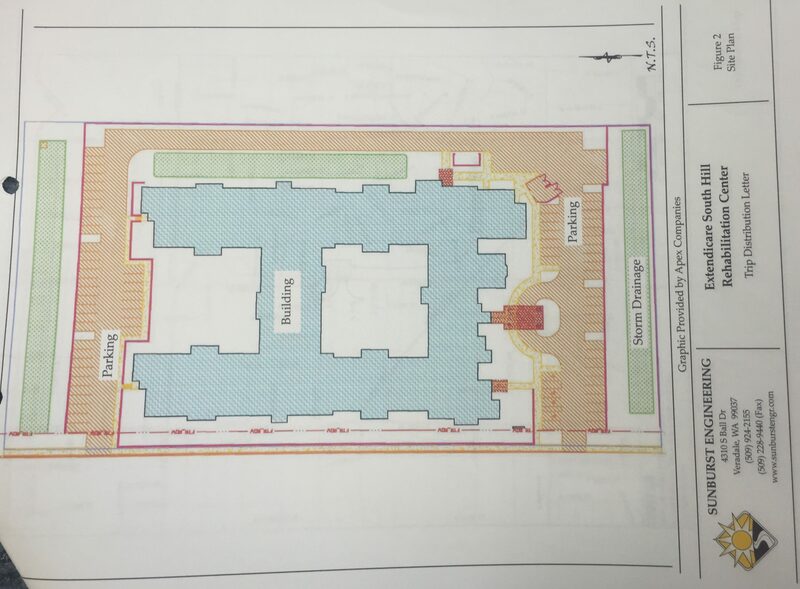 According to discussions with the City Planning Department, each “house” will have 16 beds for a total of 80 residents plus staff. The applicants already operate a similar facility in Idaho called The Renaissance at Coeur d’Alene. This site is zoned Single-family Residential and was subject to an approved Conditional Use Permit back in 2008 that has since expired. The plan at that time was to build a large multi-story assisted living facility on the property. This new proposal seeks to get the same use approved, but the scale has been shrunk (80 residents vs. 120). According to the Planning Staff there will be no new SEPA application or traffic study since they were done for the previous Conditional Use Permit and the proposed use is the same, but at a reduced scale (hence less environment/traffic impact). The proposed site plan from 2008. If you look at the site plan you can see that they have retained a buffer between the new 44th Avenue Trail and the nearest proposed building. They are also going to make frontage improvements along Freya Street that will include sidewalks and planting strips. These details will likely be shown in more detail at the Community Meeting and after a scheduled Pre-Development Meeting between the developer and the City scheduled for April 28th. We will keep you posted on more information as we get it. For now, you can make comments about the project to the applicant Valerie Glauser via email or at 208-964-1664. You can also contact the City and speak to Donna deBit. Updated plan retains more sports fields and parking, includes new trail and streetscape amenities. The City of Spokane Parks and Recreation Department presented the draft Master Plan for the Southeast Sports Complex at our April neighborhood council meeting. This plan is the result of the vision process and meetings that took place last year with Southgate residents and sports user-groups. This plan incorporates the latest information available from the KXLY developers for the proposed access to their Southgate District Center property using the west leg of the new stoplight at Palouse and Regal. The Parks Board has approved a Letter of Intent providing for an “easement in perpetuity” and “shared parking agreement” that will allow KXLY to develop a road through the existing Complex parking lot and replace it with shared parking on their private property. These two conditions are still being reviewed by City legal for their conformance with Spokane Municipal Code. The presentation at our meeting focused on the increased overall parking which was the highest priority issue identified by sports users and Southgate residents during the visioning meetings last year. The initial plan for angle parking along 46th Avenue has been replaced with basic parallel parking, though there is still angle parking and a new trailhead proposed for the west side of the park along Altamont Street. The new Master Plan also retains more of the softball facilities than originally proposed last year after that user group made additional comments to the Parks Department. Another new feature is a 4th full-size soccer field to be located on KXLY property to the south of the existing park. So the sports users are going to continue to have the highest priority use of the facility. General recreation and neighborhood users will be happy to see the development of an expanded playground area with a proposed splash pad, improved and expanded picnic/multi-use shelters and amphitheaters throughout the Complex. Another major feature will be the addition of a multi-use trail around the Complex that ties into and extends the trail running along the Target site on Palouse Hwy. Lastly, the Parks Department envisions developing a gateway/enhanced streetscape along Regal Street to buffer the park uses from the road and encourage integration and connection with the District Center commercial development. They also mentioned that there is an opportunity to rename the park to better reflect the history and character of the Southgate Neighborhood. So take a look at the proposal, please feel free to make comments on the plan (and the name) and send them to both the neighborhood council and parks department. For example, the draft plan shows a sand volleyball court near the new playground, however the consensus of the attendees at the neighborhood council meeting was to change that to a basketball court instead. We will be having more meetings with the Parks Department and KXLY developers as the year moves forward and your comments can help guide the direction of the final project. Earlier this month the City of Spokane held a pre-development meeting with representatives of Maverik gas stations to discuss the construction of a station at the corner of 44th and Regal Street where Harlan Douglass had proposed a WalMart back in 2007 and where Cool Beans Coffee stand now sits. 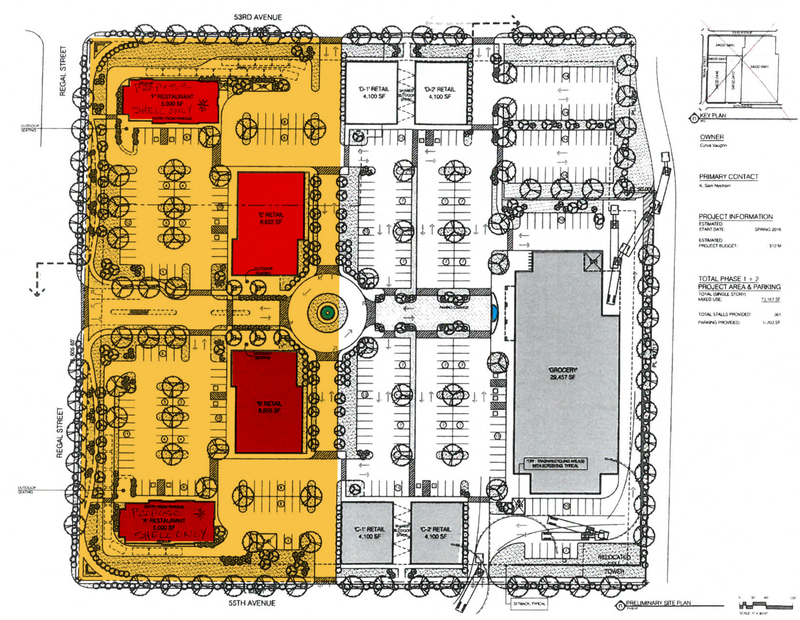 A preliminary site plan for a gas station at 44th Ave. and Regal Street. As word got out some immediate questions were raised by neighbors about the ability too place a gas station so close to existing wetlands and a Department of Natural Resources (DNS) designated stream, Hazel’s Creek. In speaking with City planning staff, they are aware of those issues and have notified the applicant through their pre-development meeting notes of the restrictions related to these issues in Spokane Municipal Code. The applicant will be submitting a revised site plan and there should be some neighborhood notification when the developer actually applies for building permits. If there is a public comment period open on this we will make sure to let you know.